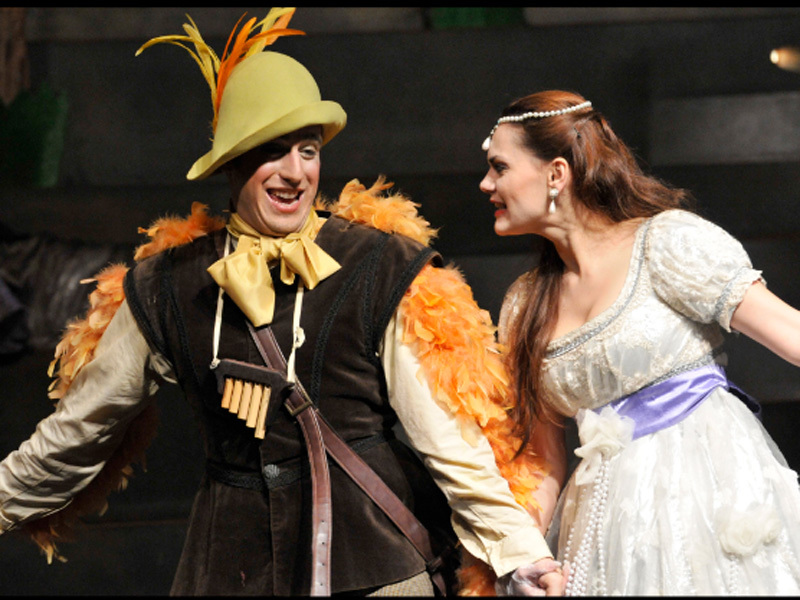 Papageno the bird catcher embarks on a perilous journey to find princess Pamina and return her to prince Tamino who lovers her and waits for her. On his journey he will encounter the Queen of the Night and her three ladies and at the end of the day will also find love. 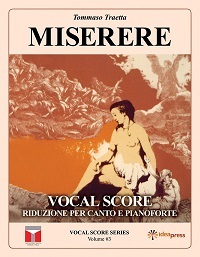 Mozart’s beloved opera in a special version for the entire family with colorful costumes. Tamino Eitan Drori, tenor, was born in Israel. He performed as a soloist with the Israel Chamber Orchestra, The Ramat Gan Orchestra, The Haifa Symphony Orchestra, the Israel Symphony Orchestra Rishon LeZion, The Raanana Symphonette Orchestra, The Herzliya Chamber Orchestra, the Jerusalem Baroque Orchestra, the Jerusalem Symphony Orchestra, the Israel Camerata and others. 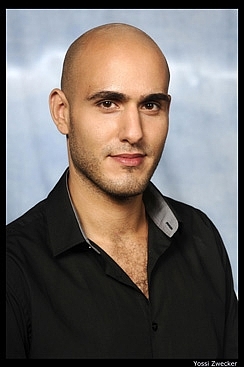 He performed in various local festivals including Kfar Bloom and Abu Gosh. He received the AICF, the Ronen, the IVAI and the Eli Leon scholarships. 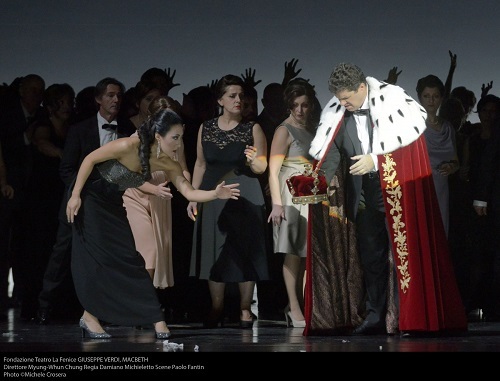 He performed Alfred in Die Fledermaus (J. Strauss) with the Israeli Opera Studio. 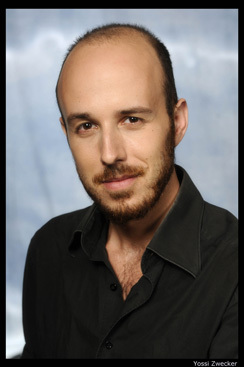 Eitan Drori is a member of the Israeli Opera’s Meitar Opera Studio where his repertoire includes Tamino in Die Zauberflote, Don Ottavio in Don Giovanni, Ferrando in Cosi fan tutte (Mozart), Nemorino in L’elisir d’amore (Donizetti), Gaston in La traviata (Verdi) and other roles. At the Israeli Opera he performed Don Ottavio in Don Giovanni (Mozart) in Akko and the Judge in Un ballo in maschera (Verdi). 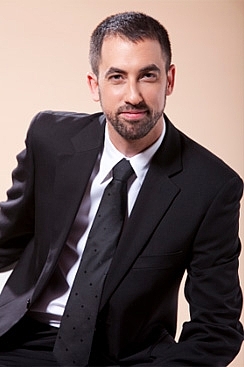 Liran Kopel, tenor, was born in Israel. He studies at the Jerusalem Academy of Music and Dance. He performed with most leading vocal ensembles in Israel including the New Vocal Ensemble, the Moran Ensemble and the Israeli Opera Chorus. He performed as a soloist with the Israel Chamber Orchestra, the Raanana Symphonette Orchestra, the Ramat Gan Chamber Orchestra, the Abu Gosh Festival and others. 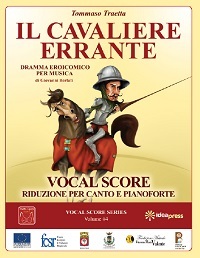 His operatic repertoire includes Belfiore in La finta giardiniera (Mozart), Beppe in Rita (Donizetti) and Ramiro in La Cenerentola (Rossini). At the Israeli Opera he performed as Tamino in a community production of Die Zauberflote (Mozart). Pamina Goni Knaani, soprano, was born in Israel. She studied at the Buchman-Mehta School of Music at the Tel Aviv University. Her repertoire includes Donna Elvira in Don Giovanni (Mozart), Euridice in Orfeo ed Euridice (Gluck) and other roles. Her concert repertoire includes Psalm 42 (Mendelssohn), German Requiem (Brahms) and other works. 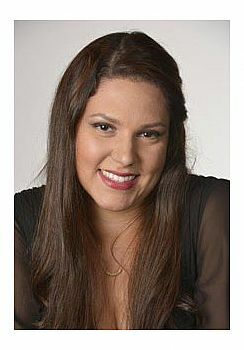 She received scholarships and won competitions at the Buchman-Mehta School of Music Goni Knaani is a member of the Israeli Opera’s Meitar Opera Studio were her repertoire includes Gretel in Hansel and Gretel (Humperdinck), Susanna in Le nozze di Figaro, Pamina and the First Lady in Die Zauberflote, Donna Anna in Don Giovanni, Fiordiligi in Cosi fan tutte (Mozart) and other roles. 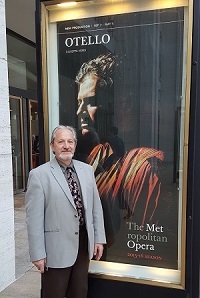 Papageno Yair Polishook, baritone, was born in Israel. He graduated from the Jerusalem Academy of Music and Dance. 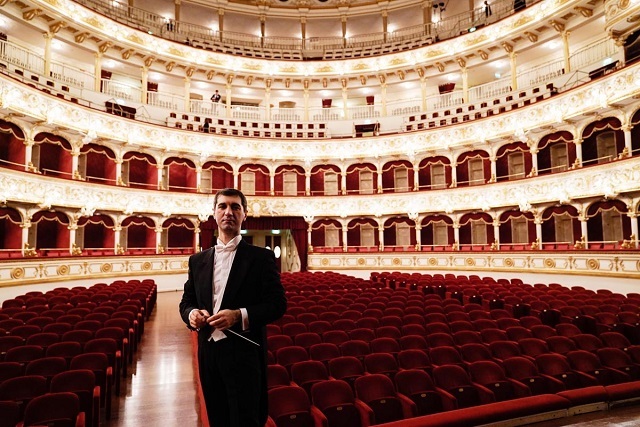 He performs in concerts all over Israel including with the Israel Symphony Orchestra Rishon LeZion, the Jerusalem Baroque Orchestra, the Raanana Symphonette Orchestra and others. He performed Fiorello in Il barbiere di Siviglia (Rossini) with the Israel Philharmonic Orchestra and with the Israel Sinfonietta Beersheva, Aeneas in Dido & Aeneas (Purcell), Figaro in Le nozze di Figaro (Mozart), as well as in the operas The Cheater (Avidom) and The Bald Soprano (Israel Sharon). His liturgical repertoire includes Messiah (Handel), St. Matthew’s Passion (Bach), the Faure Requiem, Schonberg’s serenade Op. 24 and other works. He is a member of the Israeli Bach Soloists. 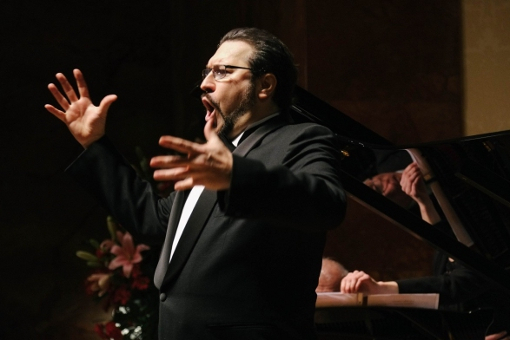 Beside his singing career he studies conducting with maestro Avner Biron. He received the AICF, Ronen Foundation and Eli Leon scholarships. 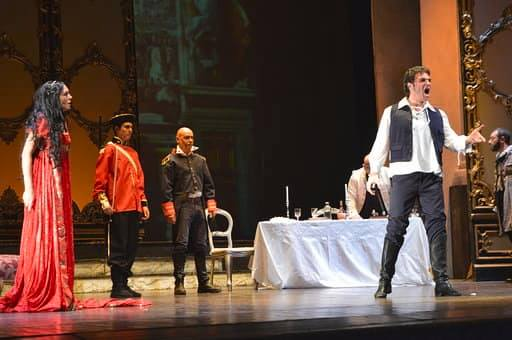 Yair Polishook is a member of the Israeli Opera’s Meitar Opera Studio where his repertoire includes Papageno in Die Zauberflote, Leporello in don Giovanni, Guglielmo in Cosi fan tutte (Mozart), Belcore in L’elisir d’amore (Donizetti) and other roles. 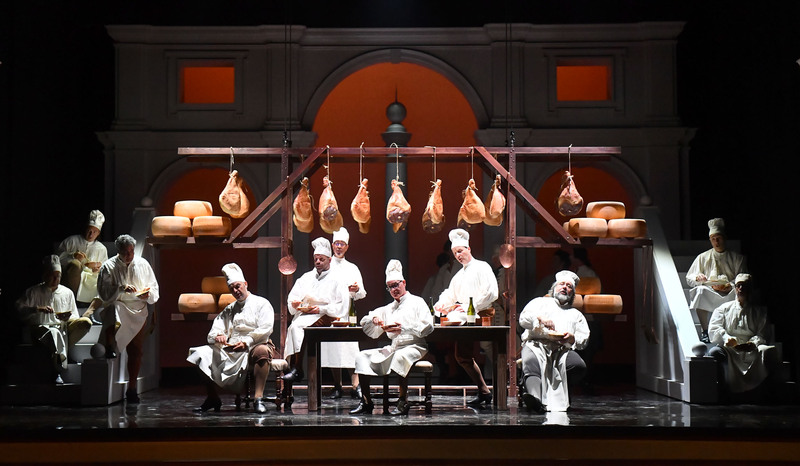 At the Israeli Opera he performed Leporello in Don Giovanni (Mozart) in Akko, the Mad Hatter in Alice in Wonderland (Sebba), the Marchese in La traviata, Ceprano in Rigoletto (Verdi), Schlemil in Les Contes d’Hoffmann (Offenbach), the Notary in Don Pasquale (Donizetti) and others. Tali Ketzef, soprano, was born in Israel. She studied at the Buchman-Mehta School of Music at the Tel Aviv University. Her repertoire includes Donna Elvira in Don Giovanni (Mozart), Euridice in Orfeo ed Euridice (Gluck) and other roles. Her concert repertoire includes Psalm 42 (Mendelssohn), German Requiem (Brahms) and other works. 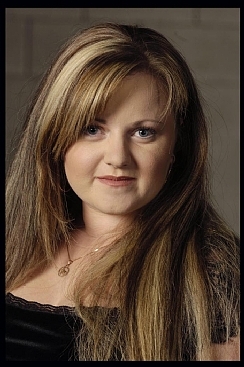 She received scholarships and won competitions at the Buchman-Mehta School of Music Goni Knaani is a member of the Israeli Opera’s Meitar Opera Studio were her repertoire includes Gretel in Hansel und Gretel (Humperdinck), Susanna in Le nozze di Figaro, Pamina and the First Lady in Die Zauberflote, Donna Anna in Don Giovanni, Fiordiligi in Cosi fan tutte (Mozart) and other roles. Queen of the Night Lilia Gretsova, soprano, was born in Russia and immigrated to Israel. She performed in many concerts throughout Israel including with the Jerusalem Symphony Orchestra, IBA, the Israel Symphony Orchestra Rishon LeZion, the Raanana Symphonette Orchestra and the Haifa Symphony Orchestra. Her wide concert repertoire includes Carmina Burana (Orff) and the Faure requiem. She has received scholarships from the AICF as well as the Berkovic, the Eli Leon and the Industrial-Commercial Club scholarships. Lilia Gretsova was a member of the Israeli Opera’s Opera Studio where her repertoire included the Queen of the Night and the First Lady in Die Zauberflote (Mozart), Rosalinde in Die Fledermaus (J. Strauss), Euridice in Orfeo ed Euridice (Gluck) and Gretel in Hansel und Gretel (Humperdinck). At the Israeli Opera she performed Mrs. Stoat in The Cunning Little Vixen (Janacek) and the Wailing Woman in The Child Dreams (Shohat). At the Israeli Opera she performed as the First Lady in Die Zauberflote (Mozart) and as Aksinia in Lady Macbeth of Mtsensk (Shostakovich). She also performs as the lead singer in the dance opus Rooster (Barak Marshall), a co production of the Israeli Opera and the Suzanne Della Center. Queen of the Night Avigail Gurtler, soprano, was born in Israel. She graduated from the Jerusalem Academy of Music and Dance, where she studied with Miriam Meltzer and David Sebba. She performed in concerts all over Israel, including at the Abu Gosh Festival and the Jerusalem Arts Festival in varied repertoire including works by Pergolesi (Laudate Pueri), Beethoven (Mass in C), Mendelssohn (Psalm 42) and Haydn (Nelson Mass). 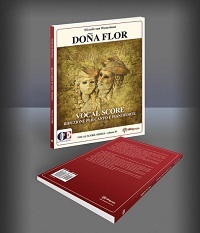 During her studies she has performed the Queen of the Night in Die Zauberflote (Mozart). 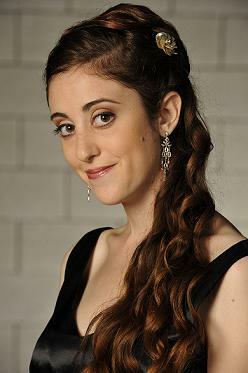 She is the winner of the Academy’s vocal competition for 2010, accompanied by the Israel Sinfonietta Beersheva. Avigail Gurtler is a member of the Israeli Opera’s Opera Studio where her repertoire includes the Queen of the Night in Die Zauberflote (Mozart), Gretel in Hansel und Gretel (Humperdinck), Adele in Die Fledermaus (J. Strauss), Susanna in Le nozze di Figaro (Mozart), Adina in L’elisir d’amore (Donizetti) and other roles. She performed Barbarina in Le nozze di Figaro (Mozart) in the Opera Studio production with the Israel Sinfonietta Beersheva as well as Adele in Die Fledermaus (J. Strauss) with the Jerusalem Symphony Orchestra, IBA. She performed Gretel in Hansel und Gretel (Humperdinck) with the Israel Sinfonietta Beersheva and Adina in L’elisir d’amore (Donizetti) with the Israel Chamber Orchestra. 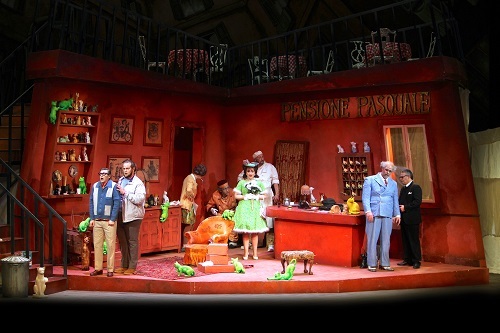 In 2012 she played Paggio in Rigoletto (Verdi). She performs in numerous Israeli Opera concerts. She performed the Queen of the Night in the Israeli Opera family production of Die Zauberflote (Mozart). Shahar Lavi, mezzo soprano, was born in Israel. She studied at the Buchman-Mehta School of Music at the Tel Aviv University. 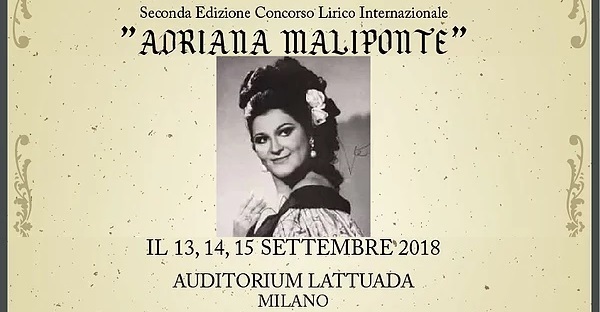 Her repertoire includes Cherubino in Le nozze di Figaro (Mozart), Orfeo in Orfeo ed Euridice (Gluck), Rosina in Il barbiere di Siviglia (Rossini) and other roles. Her concert repertoire includes Mozart’s requiem and Coronation Mass, the Bach Magnificat, Vivaldi’s Gloria and Rossini’s Petite Messes Solennelle. She received scholarships and won competitions at the Buchman-Mehta School of Music and also received the AICF, IVAI and Ronen scholarships. Shahar Lavi is a member of the Israeli Opera’s Meitar Opera Studio were her repertoire includes Hansel in Hansel und Gretel (Humperdinck), Cherubino in Le nozze di Figaro, Second Lady in Die Zauberflote (Mozart), the title role in La Cenerentola (Rossini) and other roles. Third Lady Nitzan Yogev-Alon, mezzo soprano, was born in Israel. She studied at the Jerusalem Academy for Music and Dance as well as at the Mendelssohn Hochschule fur Musik und Theater in Leipzig. Her repertoire includes the Flower/Neighbor in L’absence (Sara Nemtsov) at the Munich Biennale, Zefka in The Dairy of the One Who Disappeared (Janacek) at the Kfar Bloom Festival and other roles. Her concert repertoire includes among others, the Mozart Requiem, Magnificat (Bach), Petite Messe Solennelle (Rossini), Magnificat (Vivaldi), Nelson Mass (Haydn) and many other works. She performed as a soloist with the Raanana Symphonette Orchestra and other orchestras. She received the Chabas scholarship for young promising singers. Nitzan Yogev is a members of the Israeli Opera’s Meitar Opera Studio where her repertoire includes the Witch in Hansel and Gretel (Humperdinck), Marcellina in Le nozze di Figaro and the Third Lady in Die Zauberflote (Mozart). This entry was posted in OPera and tagged The Israeli Opera, The Magic Flute, Wolfgang Amadeus Mozart. Bookmark the permalink.